Being a chef I am always looking for new “dishes” to try. 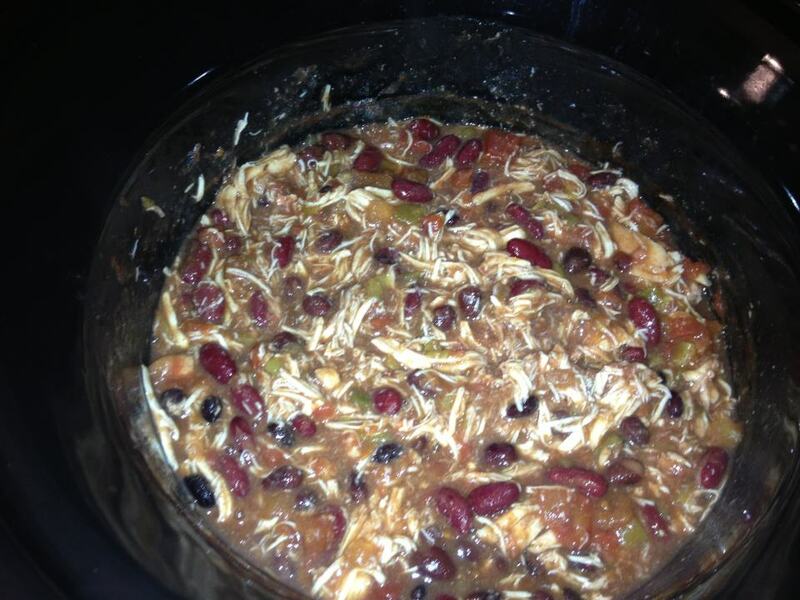 I love the crock pot because of its slow cooking, so I stumbled across this great chicken dish and made it last night. I prefer dark meat over white, but the chicken breast were great in this stewed dish with the beans and tomatoes. We ate it in a bowl, but next time will probably try with tortillas and some other fixings. Layer chicken in bottom of crock pot. Add the rest of the ingredients in the order written. Do not stir. Cook on low 7-8 hours. Take out chicken and shred. Return chicken to crock pot and stir well. Serve with tortilla chips or on a flour tortilla. Serve with chopped lettuce, tomatoes, and shredded cheese if desired.